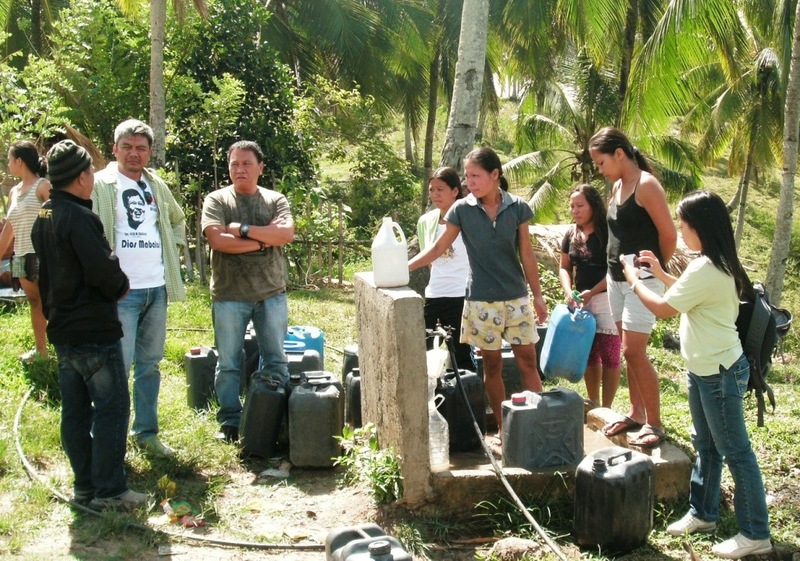 MALUNGON, Sarangani – The Department of Interior and Local Government is set to implement potable water system projects for marginalized residents living in far-flung villages here. Flor Limpin Jr., DILG provincial director for Sarangani, led local officials in conducting site inspection in Barangay Lutay, one of Malungon town’s remote villages that lay along the Sarangani-Davao Del Sur border, where a water system project will be implemented next month. He said a total of P17, 500 worth of water system projects under the ‘Sagana at Ligtas na Tubig sa Lahat’ or SANTUBIG program are set to be implemented in various villages in Sarangani this year. The project is designed to provide water system projects to 455 waterless municipalities, barangays, health centers, and resettlement sites nationwide. The program was implemented through a Memorandum of Agreement (MOA) signed by the DILG with DOH and National Anti-Poverty Council in 2010, but was later transferred to DILG in late 2012. Limpin said aside from barangay Lutay, water system projects will also be constructed in Barangays Kinam and Poblacion, all of Malapatan town. He said the DILG has tapped sanitary and civil engineers from other government line agencies to help in the implementation of water system projects. “It is in line with the government’s desire to install, expand and or rehabilitate water system projects in so-called arid areas nationwide,” Limpin said. Limpin was accompanied by Sheryl Lantingan, Salintubig provincial focal person, during the conduct of actual inspection. He said one of the stern requirements for the release of the funds is the strict compliance of the concerned local government units which are beneficiaries of the projects to the DILG’s Full Disclosure Policy which compels LGUs to be transparent in their financial transactions. Limpin said the LGUS should submit to the DILG project studies backed by a well-detailed engineering design, sustainability plan, Memorandum of Agreement and a Sanggunian resolution. Malungon Mayor Reynaldo F. Constantino expressed gratitude to the DILG for its support and recognition to the local government’s achievement in promoting good governance. Signed by the late DILG Secretary Jessie Robredo, a ‘Seal of Good Housekeeping’ was awarded to Malungon-LGU for its compliance to Full Disclosure Policy with P2 million prize money which was turned over to the Municipal Women’s Council for project implementation.